Are you looking in the right places for deer? 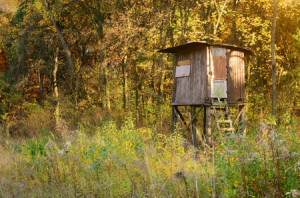 As deer seasons open up across the county, hunters really should be thinking about where they’ll be putting their stands and blinds. Regardless of whether you’ll be lucky enough to have your own land to hunt or you’ll be staking out a claim on public land, positioning is one of the single most important aspects of deer hunting. It just makes good sense to put yourself where the deer will be, right? Probably the toughest decision you have to make on early-season hunts is where to set up. According to the experts at Field and Stream, there five great hunting sites you should probably consider. The first potentially fruitful site is any sort of watering hole. Like other animals, deer can’t go too long without hydration. This is especially true in hotter, dryer climates. By setting up on lake shores, ponds, creeks, small rivers or springs, you can almost guarantee a decent-sized deer (if any happen to be in the area) will make its way toward you at some point during the day. The next good site to consider is a power-line crossing. Though not as obvious as the water hole, these areas can be very productive. When power lines cut their way through forests, they create something called “edge habitats,” which provide good land for shrubs, clovers and saplings sprout up … deer love this stuff and that can be a very good thing for hunter. These power lines and the space they create are also frequented by deer using them as “highways” of sorts. Field and Stream lists three other great sites you might want to consider setting up; click here to read those as well as more details regarding the water hole and power line sites. Click here for a review on the best tree stands!